Madame Guyon's autobiography was first published in three volumes in Paris in 1720, three years after her death. An English translation of this was published in London in 1897, translated by Thomas Taylor Allen. This is the only unabridged English version of her autobiography. 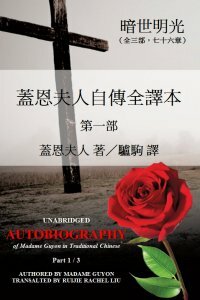 In 1938, an abridged Chinese translation of Madame Guyon's autobiography was published in China. Throughout the following decades, this book accompanied numerous Chinese Christians as they experienced -- and suffered from -- the political, social and cultural turmoil taking place in China. 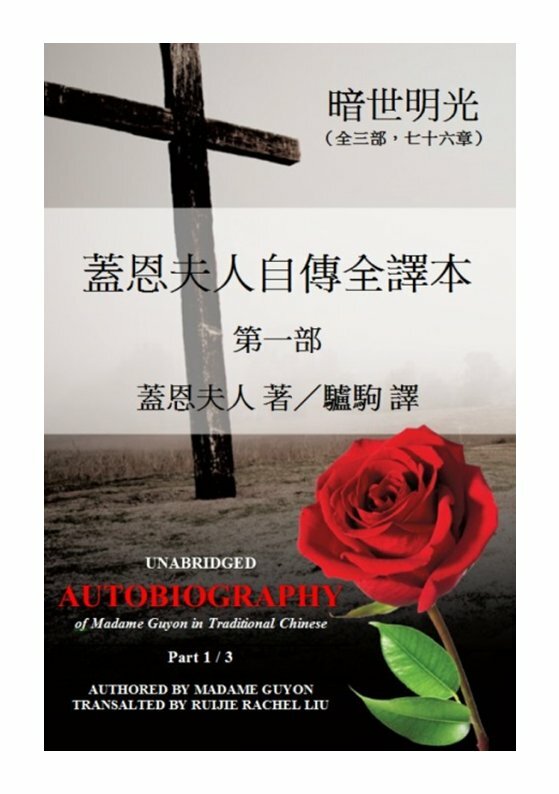 The book's translator, Yu Chenghua, was a well-respected scholar and Christian elder. Although he later managed to purchase a copy of Allen's English translation, with the hope that he could produce an unabridged Chinese translation of Madame Guyon's autobiography, Yu died in Shanghai in 1956 after being imprisoned and interrogated by the Chinese Communist Party. The translator of this unabridged Chinese translation, Rachel Ruijie Liu, found a copy of Allen's English translation in 2000. She spent more than 10 years translating it into Chinese, and later published it in the United States. Now, for the first time in electronic format, Liu would like to dedicate this precious book to Chinese Christians across the globe. Please also see Part Two and Part Three.